We are a small company and we currently don’t have the capacity to grow/offer every seed variety in our catalog on a yearly basis. If we still have seeds available in our online catalog from a relatively older batch for the seeds (e.g. tomatoes, eggplant, squash) that stay viable for a long time (e.g. if you purchased these seeds in 2017 and the seeds you have received were produced in 2015), we will add more seeds to the seed package to compensate for potential losses in germination rates. 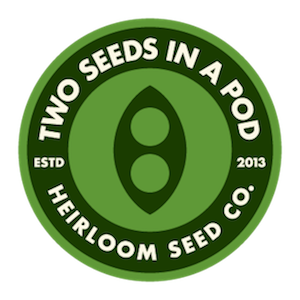 We also retail seeds for more commonly known open-pollinated and heirloom varieties that perform well in our growing conditions and that we are happy with as far as flavor, yield and heritage values go. We either replenish our seed stock for the seeds (e.g. onions, spinach) that don’t stay viable for a long time few times a year or remove them from our online catalog if we can’t replenish our seed stock. We are not responsible for the seeds that you don’t sow within a year of your purchase and/or that you did not keep under proper conditions to keep the seeds viable. We are not responsible for the damages you may experience due to lack of knowledge, extreme weather conditions, low yields, plant diseases, and pests. We reserve the right to change the prices without notification. Shipping costs include mailing and packaging expenses, and vary depending on the number of seed packages you purchase and the total weight of your order. We package the seeds with care to avoid potential damages and cannot be held responsible for the damages on the way to their delivery address. In case of extreme weather conditions in your area, you may want to wait until after the conditions turn back to normal to place an order. All orders are shipped via United States Postal Service (USPS), as first-class package with tracking. USPS raised the price of this shipping method to $3.50 from $3.00 on 01/22/2018. In order to cover this cost and packaging costs, we now have to charge $4.25 (previously $3.75) for shipping and handling. If you are an international customer, you are responsible for checking with your customs office to find out if seeds in our online catalog are allowed to be shipped to the shipping address in your order. We are not responsible and cannot refund you for the seeds that are returned to us or confiscated by the customs office. Please keep in mind that shipping prices for international orders are different than those of the domestic orders we receive within US. You are also responsible with taxes and any other additional fees that your customs office may ask you to pay for when the seeds arrive at the customs. If you use PayPal for the method of payment, once you are done shopping and after you click the “Next” button located in your shopping cart, you will be forwarded to the PayPal website. You don’t need a PayPal account to complete your transaction. Simply click on the “Don’t have a PayPal account?” button and submit the required information to complete your transaction. Our website is encrypted through SSL (Secure Sockets Layer) to ensure the safety of your personal information through our website’s registration process and through your online transactions. Our responsibility extends only to the purchase of the seeds offered on our website. PayPal transactions are only refundable within the 60 days past your purchase. Shipping and handling charges are non-refundable under any circumstances. We are not responsible for any damages and/or delays in delivery that may ensue after the orders leave our office and during the shipping; therefore, we cannot issue refunds for shipping damages/delays. For international orders, we cannot be held accountable for customs procedures. Our webpage’s content is copyright protected. None of the content including images and text on our webpage can be published and/or used elsewhere without permission. We will never sell or share your personal information to/with anyone.